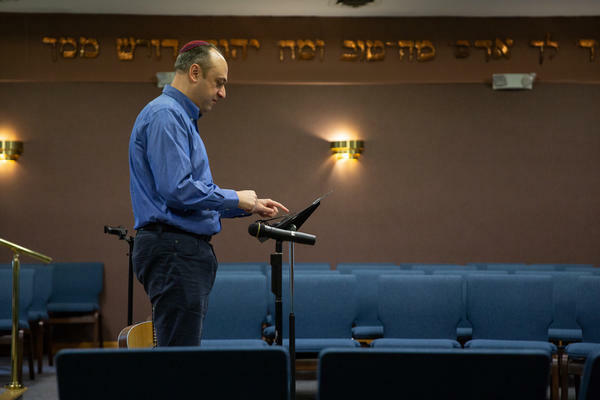 Rabbi Michael Farbman prepares for Sunday School in Orange, Connecticut the day after the Tree of Life synagogue shooting in Pittsburgh. Those tending their congregations had to decide too how to address the tragedy -- particularly how to speak to children. Early Sunday morning, a police car sat outside Temple Emanuel of Greater New Haven. 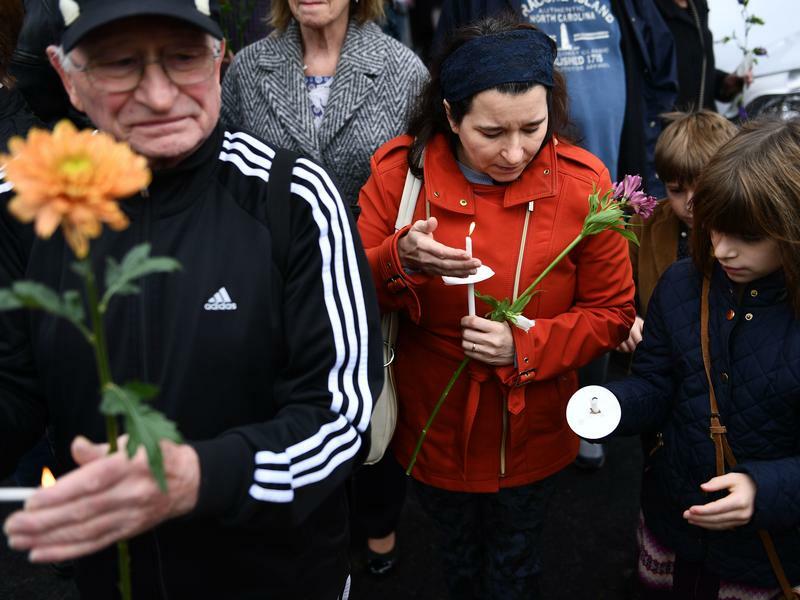 Diane Orson visited the synagogue, and spoke with Rabbi Michael Farbman just as parents were bringing their children in to Sunday School. 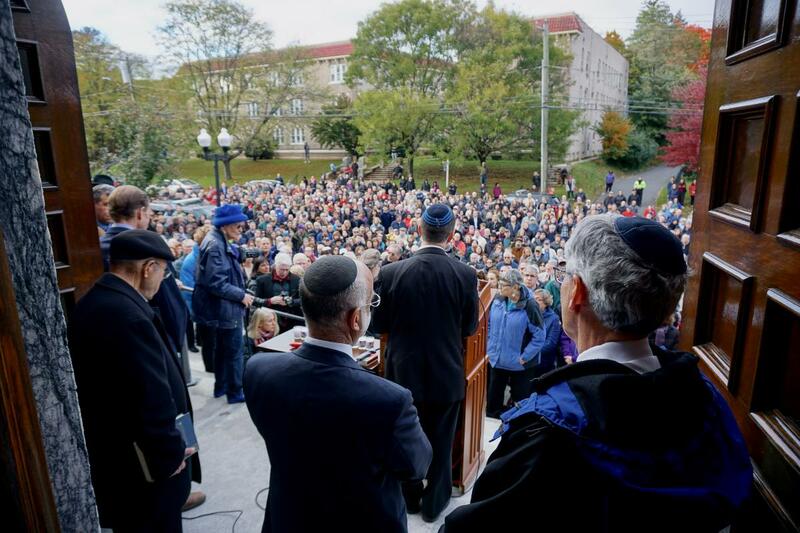 We are a small community that prides itself like any Jewish community on keeping our doors wide open and welcoming. A number of years ago, in fact after Newtown, we made a decision to keep our doors closed and locked during religious school. Sadly, this is not the first tragedy that we have experienced in recent years…and every family has their own level of what they talk to their children about and how they talk to children about it. And so every Sunday morning begins with…an assembly gathering of children and parents in which I do a little teaching, little music, a little teaching through music. I have spent a lot of time [Saturday] trying to figure out exactly what songs I'm going to bring, so that they bring the message of hope, so that we can all learn a little bit about Judaism and our take on life at these difficult moments without necessarily naming the events. It's a conversation that all of us wish we never had to have with our children. Whether it is at home or in a communal setting, it's a conversation we wish we never had to have with our adults in the communal setting. 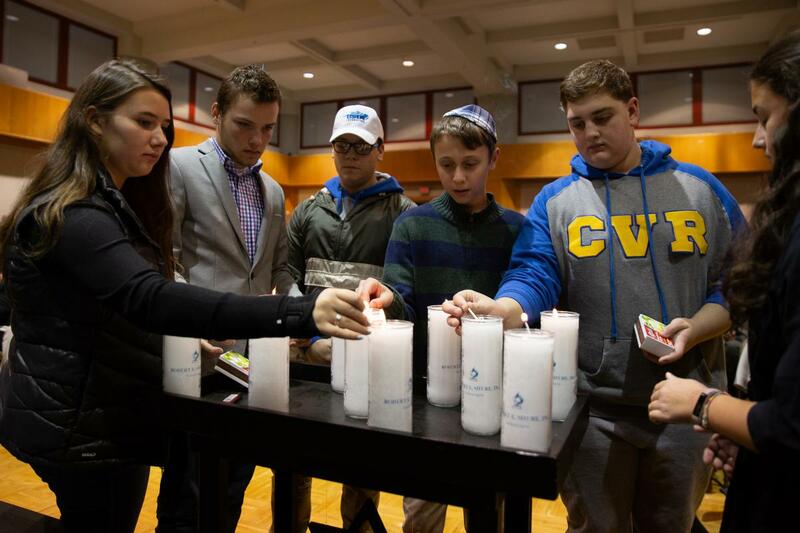 The conversation, should it emerge, and when it emerges with older kids with teens especially, is both about acknowledging the scary part of the world, and acknowledging, perhaps, for many of these not just kids -- for many of these adults -- for the first time acknowledging the fact that anti-Semitism is alive and well. I sadly have a lot of experience. I grew up in in the former Soviet Union. I grew up in Belarus. I've had first-hand experiences of anti-Semitism my entire childhood and teen life, and the early adult life as well. So I'm not naive. I have been incredibly blessed knowing that this sort of thing doesn't happen every day in the United States. These kind of things when we think about our security of course this is a very different hatred that may be driving those kind of acts. But hatred is hatred and so the only thing I know to do as a Jew is twofold: On the one hand we tried to review how we can keep ourselves safe. At the same time, we go to the heart of what we do and what we believe. We try to work on making ourselves a better people; making our world a better place. We engage with our sacred tradition. We learn. We teach. We study our texts. We celebrate our rituals and we go and we look after the world and the people who need our help.